ACS Hurricane Relief Offering Sabbath, September 9 » The North American Division is holding a special offering on Sabbath, September 9 that will benefit those impacted by Hurricane Harvey. This offering, which will be marked as “ACS Hurricane Relief,” will benefit the work of Adventist Community Services and its regional partners as they work to alleviate the pain and suffering of the people in Texas and Louisiana. The majority of the offering will go to ACS and the remainder will be given to the Southwestern Union to help the churches and schools damaged by the storms. To give to Adventist Community Services, donate through your local Seventh-day Adventist Church and label your gift, "ACS Disaster Response"
To make a donation by phone, call 1-800-381-7171. To send a donation by mail, address your gift to Adventist Community Services, 12501 Old Columbia Pike, Silver Spring MD 20904. To donate goods, go to amazon.com or walmart.com to order items listed here. Goods from amazon.com should be shipped to 702 North Old Betsy Road, Keene, TX 76059. Goods from walmart.com should be shipped to 1616 West Henderson, Cleburne, TX 76033, Attention: Texas Conference of SDA/ACSDR. Inoculating Kids for Life in Castle Rock » With a significant teen suicide rate in Castle Rock, Ambassadors of Compassion, a non-profit, non-denominational group based in California, is working to instill values in Castle Rock students that will inoculate them from hopelessness and inspire healthy thinking. With the goal of building resilient youth and compassionate leaders, the group teaches leadership, character and responsibility in a transformative way according to their website. As a part of this community, Castle Rock Adventist Hospital “is very aware that mental health is a huge problem in Douglas County, particularly when it comes to teen suicide,” comments Godfrey Miranda, pastor of the Castle Rock church plant which meets in an unused hospital space. For this reason, the hospital sponsored the program by donating funds to the school. Miranda, along with David Martinez, Castle Rock Adventist Hospital chaplain, are Ambassadors of Compassion at Castle Rock Middle School where the entire student body comes together each Wednesday morning to hear parents, community members, police officers and hospital personnel discuss four values from the RISE curriculum. The four values encompassed in RISE – responsibility, initiative, service, and expectations (or goal setting) – when internalized in the life of a young person, can transform their outlook and, indeed their lives. Meetings with the middle school students find Miranda and Martinez leading icebreaker activities, directing student journaling, sharing inspirational quotes and piloting small-group discussions and activities, all designed to build trust along with the realization in the students that they have the ability to contribute to their society. It provides fertile ground for positive values to take root. Martinez shared the story of a student he called “Nate” who was “very quiet and very aloof. He was indifferent about life, but seemed to brighten up during the two months he and Miranda were there as he recognized there was safety there and that the other students wouldn’t give him a hard time. He shared his experience with an abusive, alcoholic father and a mom that had just booted him out of the house. “This kid had a great voice and the kids respected him,” Martinez shared. He began to realize that he could make a contribution to his family and to his school environment. By the end of the program, this very bright kid had figured out for himself that he was okay and that he was going to be okay. “There are kids who don’t really esteem their contribution to life very much, but to see that actually turn on . . . “ Miranda began, his thoughts trailing off as he remembered the impact they had on this kid. APMOA Prison Ministry Convention Held in Virginia » Under the theme, "Maranatha: Jesus Behind Bars and Beyond," this year's prison ministry convention took place August 2-5 in Herndon, Virginia. Pastor Jose Vasquez presented the worship service on Sabbath, saying, "There are people behind bars who are free and many outside who are locked up. We must be willing to go into the world . . . God is in the business of setting people free." During a time of testimonies, one man shared his experience of going to prison at the age of 18 and serving 37 years. Now 55 and recently released, he is baptized and working for the Lord. Those in attendance were blessed with morning and evening devotionals from Chesapeake Conference president Rick Reemers, Charles Cheatham, immediate past president of the Allegheny East Conference, and Tony Reyes, planning director for the Potomac Conference. The Early Morning Power Hour was presented by Conrad Dunkin, vice president for the Florida Conference. "We are called to serve," remarked Leonel Pottinger, Sabbath School teacher. "It is an interchange." Next year's convention will be held in Colorado Springs, Colorado. Hispanic Camp Meeting » From September 1-3, Glacier View Ranch will host Hispanic Camp Meeting under the theme Small Groups. Guest speakers include Omar Grieve and Nessy Pittau-Grieve, both from the Hispanic Voice of Prophecy, and Julio Chazarreta from Pacific Press. Lourdes Chazarreta will present music through voice. Worship and activities will be held for the children. Glacier View Ranch is located at 8748 Overland Road, Ward CO 80481. 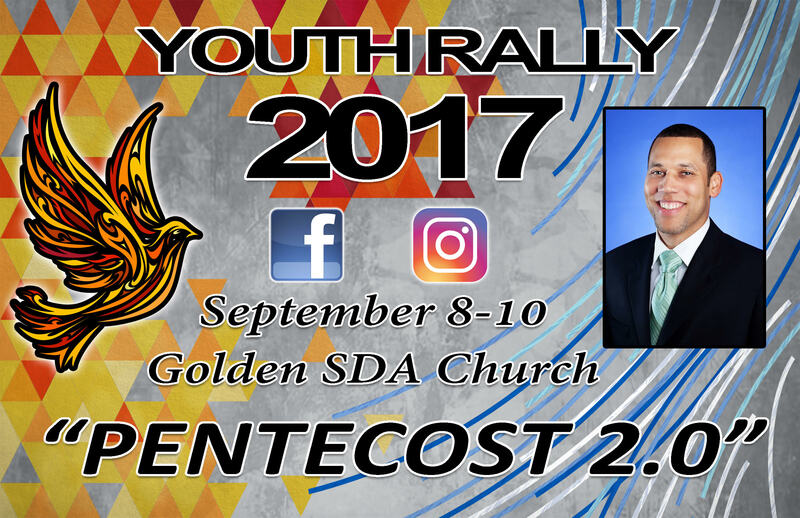 For more information, contact Ruben Rivera at 303-910-1614. Just weeks away, the month of October will offer the opportunity to recognize pastors throughout Rocky Mountain Conference in a special way. 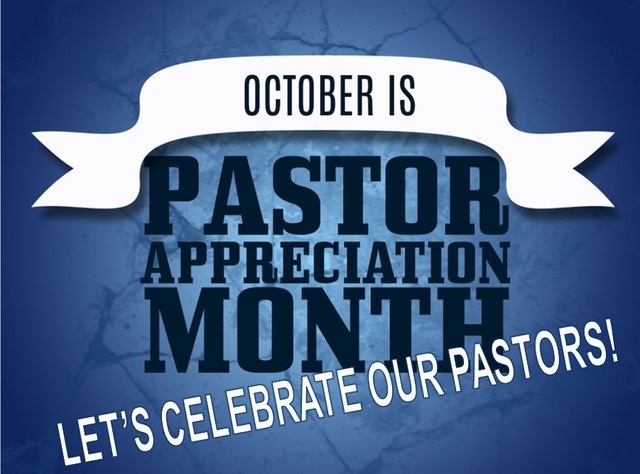 October is Pastor Appreciation Month, a time to express special appreciation to the pastors God has allowed to impact lives within our church. A time to surprise your minister with a special moment showing how meaningful their leadership is to your congregation and community. Time to plan something special and let your creativity shine in the spirit of 1 Thessalonians 5:12-13a - "Now we ask you, brothers and sisters, to acknowledge those who work hard among you, who care for you in the Lord and who admonish you. Hold them in the highest regard in love because of their work." Enjoy a free community concert at 6:30 p.m. Saturday, September 16 at the Greeley Church, 1002 21st Avenue in Greeley. Come for a one-day retreat, 9 a.m. to 4:30 p.m. Sunday, September 17, at Pinehurst Country Club, 6255 West Quincy in Denver. God’s calling of speaking for women’s retreats and conventions. She is the very proud mother of her co-speaker, Shelby Huse. Shelby Huse is a 17 year old senior at Georgia Cumberland Academy. She has traveled internationally with her mother and has developed her own passion for ministry and speaking about what God has done in her life. She started speaking to women and teens at the age of 15 and has traveled extensively with her mother to participate in the music ministry as well. will include several original songs that enhance the meaning of what is presented with each session. Enclose check payable to RMC-WM or credit card – include CC number, security code, zip code and mail to Ginger Bell, 1035 Midland Street, Brighton, CO 80601. 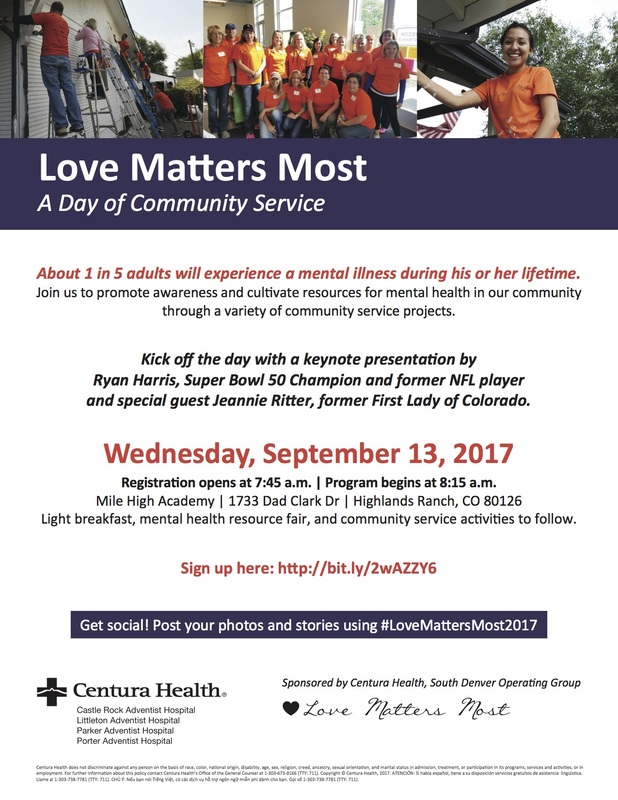 Love Matters Most » Mile High Academy will kick off the Love Matters Most event, a mental health awareness program, between 8 and 10 a.m. September 13. Super Bowl 50 champion and former NFL player Ryan Harris and former First Lady of Colorado Jeannie Ritter will begin the day with a keynote presentation. Mental health resources will be available explaining how local resources may be able to support you or someone you know. Everyone deals with stress, but those stresses can easily develop into a bigger issue if not addressed. We hope to eradicate the stigma associated with getting help for struggles with mental health. The afternoon will provide an opportunity to participate in a volunteer project. Each of the South Denver Group hospitals is leading 2-3 initiatives. We would love to see as many as possible participating in the day's activities. If you are not able to participate, we encourage you to express the message of Love Matters Most in your work day. Sign up here: http://bit.ly/2wAZZY6 and see the variety of projects available. Twin Peaks Church » CELEBRATING LIFE, a 14-week program presented by Cheri Peters, takes a biblical approach to restoring people to sanity. Participants will be part of a supportive group who will open up to each other and to God, allowing His Spirit to lead them into healing. Begins August 17 and continues every Thursday from 7 - 8:30 p.m. through November 16 at the Twin Peaks Church, 9696 Paschal Drive, Louisville CO 80027. Brighton Church » is co-hosting the free Brighton Car Show and Dyno Day from 10 a.m. to 4 p.m. September 10 at Brighton Adventist Academy. Check out the Jeeps, Corvettes, trucks, and whatever YOU would like to show off. Reserve a space for $15. 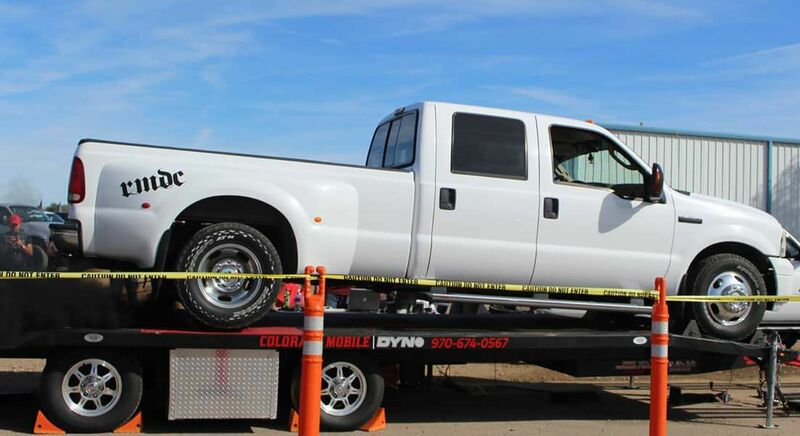 Also, Colorado Mobile Dyno will be there testing horsepower and torque. Pre-registration price for three pulls is $85. Come enjoy the food, family games, and prizes. Don't forget your lawn chair so you can comfortably watch the dyno action. All proceeds go to BAC Student Aid Fund. For more information, email Melissa at [email protected] or call 720-308-7563. Brighton Adventist Academy is located at 567 E. Bromley Lane in Brighton. Dave Ramsey Financial Course Comes to Campion Church » Campion Church will host Dave Ramsey's Financial Peace University, a 9-session video course teaching sound, Bible-based principles of financial management. Classes will be held in the church fellowship hall Wednesday nights from 6:30 to 8:00 p.m. beginning September 6 and continuing through November 1. The first 12 families to register will receive a kit for $99. Additional kits will be ordered at $109. The kit includes a textbook, workbook, budget envelope, wallet, etc. Registering gives you a lifetime membership to the Ramsey organization which allows you to re-take the class at any time at no cost. 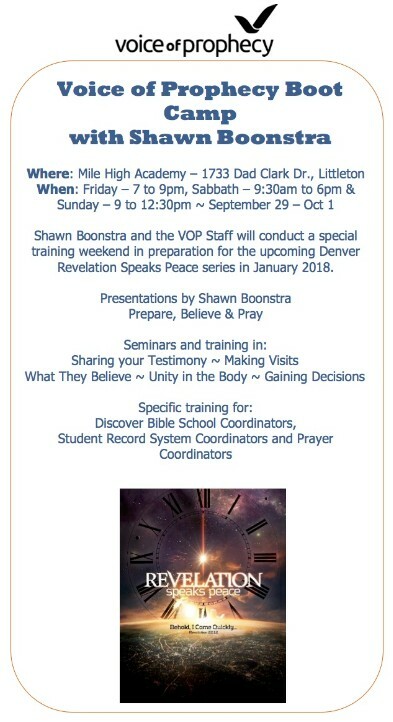 For more information, call the Campion Church at 970-667-7403. Health to the Max » Denver's 2017 Premier Health Event begins at 7:15 p.m., Saturday, September 16 and continues nightly through Saturday, September 23 at Denver South Adventist Church Auditorium. Speakers Mark Finley, Ernestine Finley and Des Cummings will present the latest scientific information on health and spirituality in an inspirational, highly-motivating style. During Health to the Max you will learn how to reduce the risk of heart disease and cancer, make positive, life-changing choices, develop a personal health strategy, prepare tasty, plant-based dishes, increase your energy levels and reduce fatigue. Special programs will be provided for your children on healthy living and making positive choices. 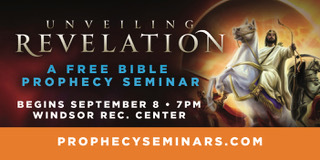 For your free reserved seats, register online at www.HealthToTheMax.today or call 1-800-260-7171. Denver South Adventist Church is located at 2675 S Downing Street, Denver CO.
Littleton Church » Littleton Church has a unique and refreshing Creation Sabbath School Class taught by Greg Pauls who has made creation his area of specialized study. He discusses Bible-based theology, paleontology, geology, radioisotope dating, DNA, evolution theory and history to name a few of the big topics. He wants to educate people that evolution is a "religion and world view -- not science." Greg has a Master's degree from Washington State University and a PhD from the University of Colorado. The class meets from 10-11 am every 4th Sabbath for ages primary through adult. Littleton Church is located at 7400 S. Windermere Street in Littleton. 11:00 a.m. -- Will the Women's Issue Split the Church? The Sanitas Lectureship was established in 2016 to create a safe space for people to connect with God as presented through the lens of the Bible. The annual event includes presentations from world-renowned Old and New Testament scholars designed to demonstrate how the God of the Bible continues to work on the shared story of humanity. Everyone is invited! -- not just for women. Rocky Mountain Conference » The Rocky Mountain Conference is accepting applications for a part-time (28 hours/week) receptionist/membership clerk. This position will manage the main front desk/multi-line switchboard and greet guests to the conference. Qualified candidates will be professional, outgoing, and friendly. In addition, the right person will be computer savvy and have a demonstrated track record for attention to detail and use of discretion in confidential matters, including membership records. Work hours will be Monday --Thursday, 9:00am - 5:00pm with an hour lunch. For more information regarding the position, please visit http://www.rmcsda.org/hr-pt-receptionist. To apply, please contact Human Resources at [email protected] or 303-282-3653 to request an application. Mile High Academy » has immediate openings for the 2017-18 school year for two part-time bus drivers. 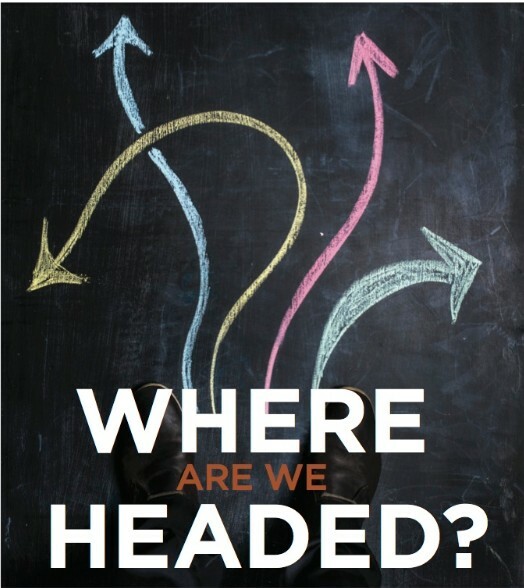 Qualified candidates will be at least 21 years old, possess, or be able to obtain, a current Colorado driver's license (commercial driver's license preferred), have no more than two traffic citations and no at-fault accidents during the last three years. The candidate must also possess current U.S. work authorization. While maintaining the dignity and respect for all students, the bus driver's primary responsibility is the safety of students while transporting them to and from school. To request an application, send an email to [email protected] or call 303-282-3653. September 1, 6:00 a.m. - September 3, 6:00 p.m.
September 4, 7:30 a.m. - 5:30 p.m.
September 17, 8:00 a.m. - 6:00 p.m.
September 29, 7:00 p.m. - October 1, 9:00 p.m.
September 30, 6:00 a.m. - 6:00 p.m.
October 1, 6:00 a.m. - 6:00 p.m.
October 6, 8:00 a.m. - October 8, 6 p.m.